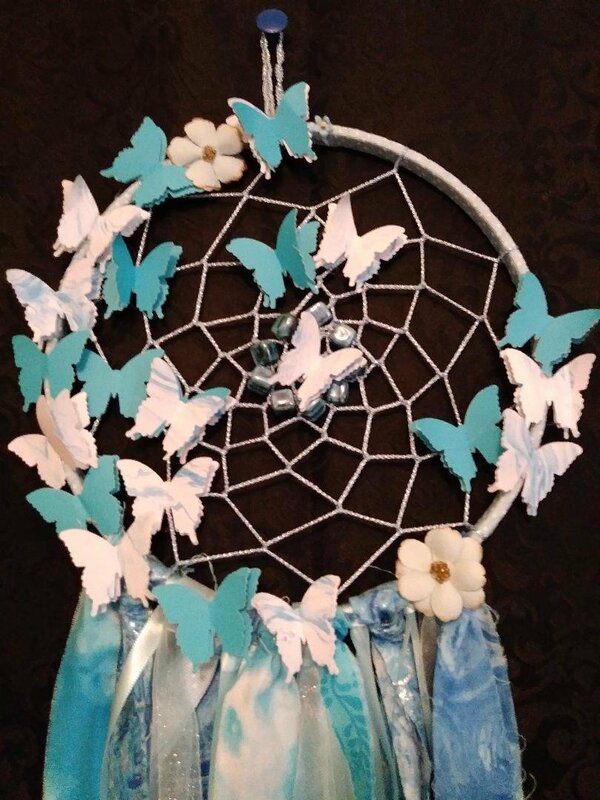 This Dreamcatcher was crafted in both turquoise and light blue hues and adorned with butterflies. 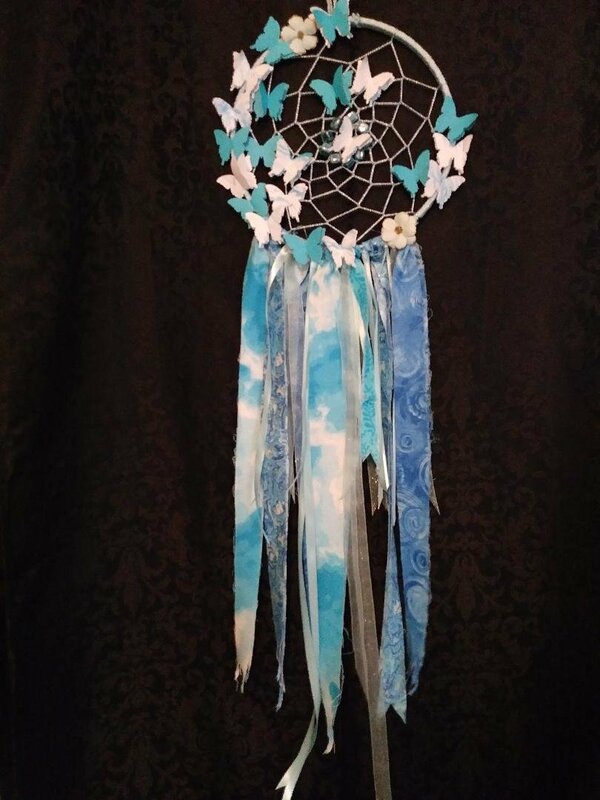 From the top of where it would hang to the bottom of the ribbons, measures 36". The hoop measures 9.5" across.